Manage your time in the easiest and most intuitive way. 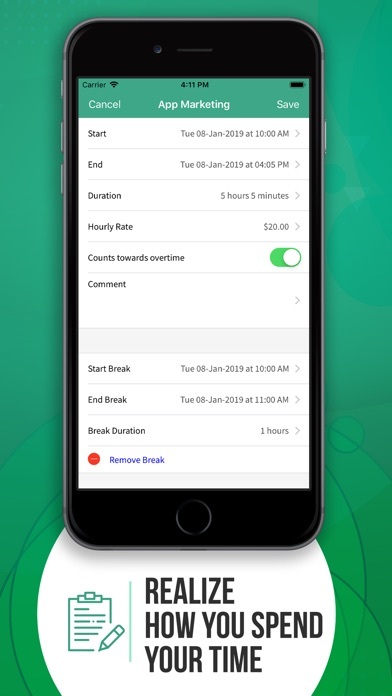 Hour’s Tracker is a tool that will help you know how much time you have spent doing every activity you have completed along your day, turning your tracking process into a simple and fast task that will keep your schedules completely organized in just a couple of seconds. *Use the most accurate timers to track your daily activities. *Include your breaks and pauses in your schedule. *Control and manage your time with diagrams and graphs that will help you know how efficient you were this day, week, and month. *Include personalized notes to any activity. *Pause and resume any activity the moment you want. *Start and stop any activity with a single tap. *Set your own alarms. Be aware of everything you do, reduce your stress, and be the most efficient possible in one simple app. I’ve used a few of these. This one is the absolute best! THANK YOUUUUU!!!!!! This is the first day I have been using this app so I am not sure I yet what I think of it. It was easy to set up! Takes some learning and adjusting but it works makes scheduling and keeping track of hours and times easy and no brain needed..!!!! I don’t normally leave reviews but since this is a new app and I really like it, I want to help. I have tried several time tracker apps trying to find one that really fit my needs and my style. So far this one is the best. I’ve only had it for a week so I’m still learning some of the functionality of it but there haven’t been any glitches so far. 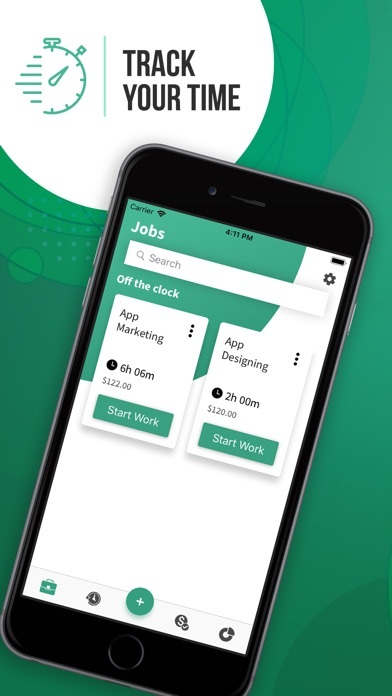 This time tracker is great because it allows you to list multiple different jobs with different price points for each. You can easily “clock” in and out and it tracks the time you’ve spent and the total money you made for that job. This makes it easy to invoice. There are also graphs and charts that help you track where you’re spending time and which jobs are taking up your time. So far so good. I just started to use this app to help me keep better track of my payroll hours. The app is EXTREMELY easy to navigate! Extremely flexible app. I work as a freelance videographer. Any day that I work on preproduction or post production I can end up working on projects for 3 different clients. This lets me track my time commitment for each project so that I can bill the client correctly. This app is perfect. 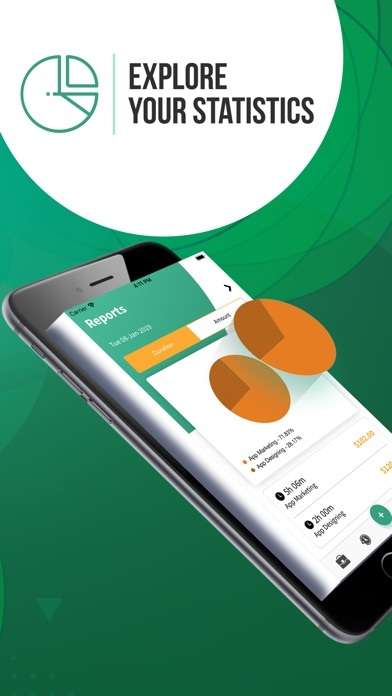 Tracks your time for multiple jobs at different pay rates to the minute. I preordered this app and it was well worth the wait.